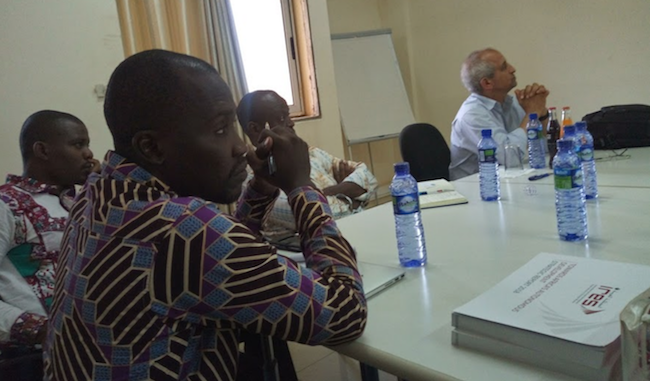 The Promoting Gains in Renewable Energy (ProGREEN) West Africa project held an Advisory Group meeting on July 23–24 at the WASCAL Centre of Competence in Ouagadougou, Burkina Faso. 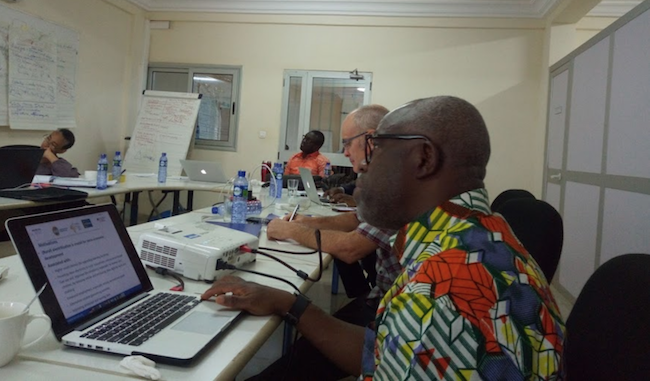 The purpose of the meeting was to collect input from the project Advisory Group on the reorientation of the West Africa project towards a focus on renewable energy and develop the annual activity plan. Representatives from Ouagadougou-based organizations – Jérôme Tondoh, Director of Research at WASCAL, Daniel Yamegueu Nguewo from 2iE, and M. Millogo Founeme from SONABEL – joined the Advisory Group on the second day to discuss the work these local organizations are doing on renewable energy and the potential linkages and synergies between their work and ProGREEN. From left to right: Cheikh Mbow, START, Carole Brunet Idriss-Kanago, University Montreal, Joseph Adelegan, ECOWAS Bank for Investment and Development, Jon Padgham, Future Earth & START, Mariama Camara, START, and Abdellatif Khattabi, IZA and Moroccan Association of Regional Science. the action plan for the next 12 months will primarily consist of assessing and synthesizing current efforts towards access to small-scale renewable energy and its linkage to water, food, health education, youth and gender. From left to right: Inoussa Abdou Saley, WASCAL, Daniel Yamegueu Nguewo, 2iE, Millogo Founeme, SONABEL, and Abdellatif Khattabi, IZA and Moroccan Association of Regional Science. Activities under this action plan have started and will mainly focus around the assessment of the impact of small-scale renewable energy systems to broader energy transition in West Africa with a team of experts from research, public and private sectors, and civil society. 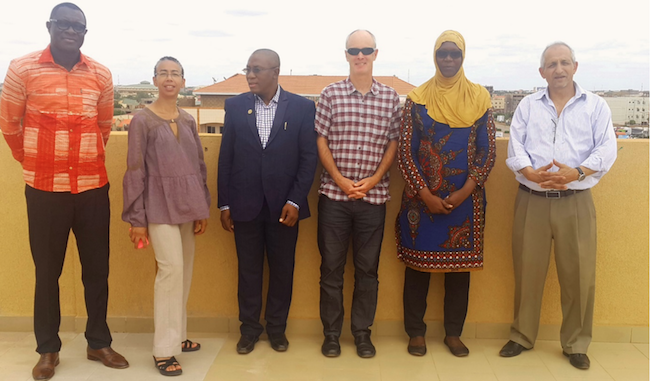 From left to right: Carole Brunet Idriss-Kanago, University Montreal, Cheikh Mbow, START, Jon Padgham, Future Earth & START, and Jérôme Tondoh, Director of Research at WASCAL presenting the CIREG project.